Danny Kirwan shows us why there's so much more to Ibiza than the world-class nightlife, shedding light on the history, traditions and cuisine of the Balearic island. 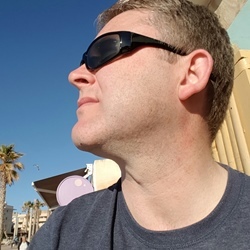 Danny Kirwan is an award-winning blogger, lover of music and friend of Ibiza. Ibiza (Eivissa) is an island of two halves. On one hand there’s the lively nightlife, world-famous clubs and round-the-clock partying that the place has become most famous for, but this accounts for just a small part of Ibiza’s cultural heritage. Away from the main drag you can find secluded coves, stunning architecture, unknown local delicacies and a rich history – all of which come together to make this small Spanish island one of the most diverse in the world. The cuisine is quite different from what you’d find on the Spanish mainland. Juicy, charred meats grilled outdoors and fresh fish make up the majority of meals, alongside organic fruit and vegetables and fresh pastries. To wash it all down, there are all sorts of local wines, grown and made on the island, as well as Ibiza’s own digestif, hierbas. There’s plenty to do in between mealtimes, too. Ibiza’s borders have been crossed by cultures and civilisations from all over the world, each of them leaving their mark on the local population. 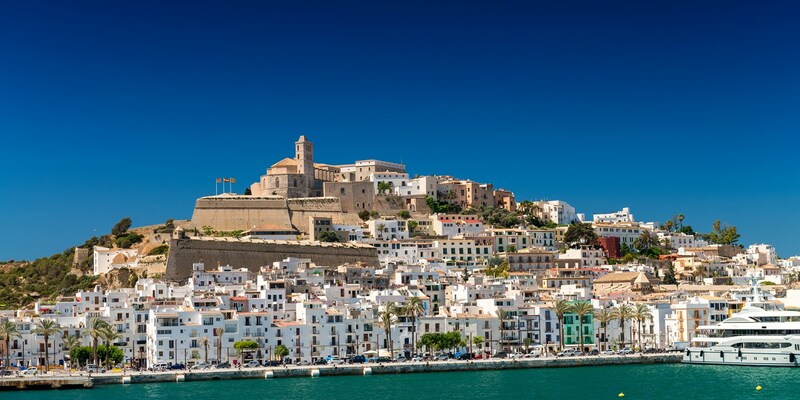 Stone watchtowers, cobbled streets and bustling markets bring this incredible island to life and just a short walk around them will give you a sense of what Ibiza is all about. All of this, combined with a history that spans centuries, makes Ibiza a must-visit destination for anyone interested in European culture. This list of locations will show you what the island has to offer, even if you only have a day to experience all its incredible splendour. Ibiza has always been home to a vibrant and healthy organic movement, including the unique practice of biodynamic farming. Discover the farms, markets and projects making the island a haven for top quality produce. 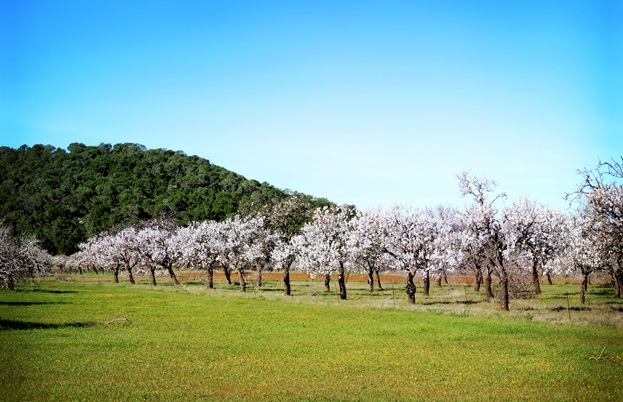 Located by Santa Eulària des Riu, Can Pere Mussona is a fully certified ecological farm which means all its animals – cows, sheep, pigs and chickens – are reared outdoors in an environment free from chemicals and pesticides. It has its own wine, called Evie, which received a rating of ninety-three; very rare for a first grape. It also makes its own hierbas digestif and holds visits to its farm. 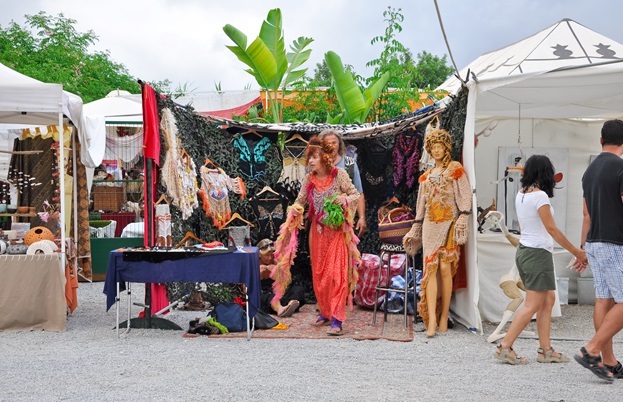 There are a number of open air markets in Ibiza selling handmade lace, silk, linen and leather goods and most have a buzzing, lively atmosphere with live entertainment, street food and music all day. While most tourists know about the ‘Hippy Market’ in Es Cana, the Forada Ecological Food Market, held every Saturday next to the famous art café Can Tixedo, is a foodie’s paradise. The stalls are full of local wines, liqueurs, fresh bread, cakes, honey, jam, marmalade, natural medicines and cures, plus a varied range of artworks from local artists. Casita Verde is an experiential centre for the study and application of permaculture techniques, and is the headquarters and flagship project of Greenheart Ibiza. Walk around the centre and discover tree houses, buildings made from recyclable materials, exotic medicinal herbs and all sorts of innovative projects which promote conservation. End the visit by cooling off with a glass of something fresh at their healthy natural juice bar. This small family brand is regarded locally as one of the best, and it would be remiss of any visitor to the island to depart its shores without a bottle to savour. Best served chilled over ice, it makes for an excellent digestif. The Ibicencos love it so much, they even have it for breakfast. The Ibicencos love their food, especially fresh fish and organic vegetables. Taste some of the island’s best produce at restaurants and shops located in the heart of the countryside. This local fish stew made with the island’s unique potatoes is always followed by arròs a banda – rice cooked in fish stock. Restaurant Can Salvadó, located in Santa Eulària, serves the best Bullit de peix on the island. In two courses, it’s quite filling and will easily serve four people. On the coastline fish stock is reduced to create the sticky texture of the arròs a banda, while inland a meat stock is preferred, lending the rice a more distinct flavour. Located in Ibiza Town (known locally as Vila d'Eivissa), across the road from the ferry to Formentera, is the Fábrica de Licores Aniseta shop (made inland at Hierbas Ibicencas Aniseta), where you can learn all about the history of the famous island digestif hierbas, how it’s made and the medicinal properties of the drink. This small family brand is regarded locally as one of the best, and it would be remiss of any visitor to the island to depart its shores without a bottle to savour. Best served chilled over ice, it makes for an excellent digestif. The Ibicencos love it so much, they even have it for breakfast. The Oleoteca Ses Escoles is Ibiza’s first and original oleoteca, dedicated to spreading the word about Ibizan olive oil. Visitors can walk around the farm and see first-hand the process of making extra virgin olive oil through organized tours. Inside the old finca, there is a delicatessen stocking some of Ibiza’s best artisan products and its French-style restaurant serves a Mediterranean menu on a cosy covered terrace which overlooks the olive groves. Many civilisations have shaped the culture and personality of Ibiza. The islanders have learned to adapt to the different nations that have passed through their lands and instead of war, they peacefully provided hospitality to their invaders. 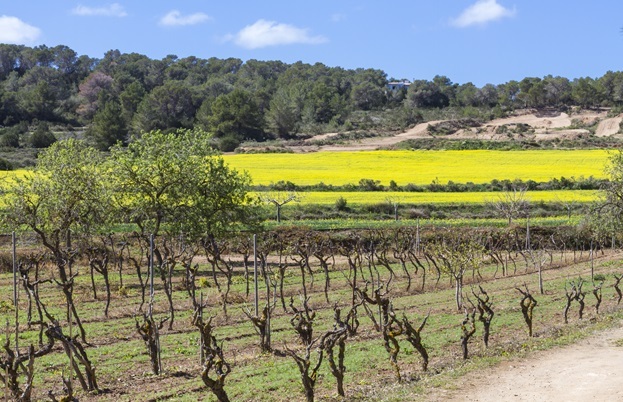 The Moors introduced vines to Ibiza, and the island’s iron-rich soil means its local wines have a unique flavour. Discover this well-kept secret at the Bodega Sa Cova, a vineyard where all wines are hand-pressed amongst orange and lemon groves. It is located in the quiet and traditional village of Sant Mateu, complete with its own whitewashed church and a quirky restaurant called Can Cires, which serves a rather interesting but surprisingly scrumptious menu. The delicious Greixonera (an Ibizan variety of bread and butter pudding made to use up leftover ensaïmada) is well worth the trip alone. Experience the colour, vibrancy and decadence of the Ibizan nightlife at a sophisticated cabaret restaurant located on a small island overlooking Ibiza’s main harbour. Once home to a nightclub, Lío now plays host to the island's most stylish and elegant cabaret show while serving a Mediterranean menu to the tables in front of the glass floor stage. A well-dressed cosmopolitan and international crowd eat and dance the night away in true Ibizan style. 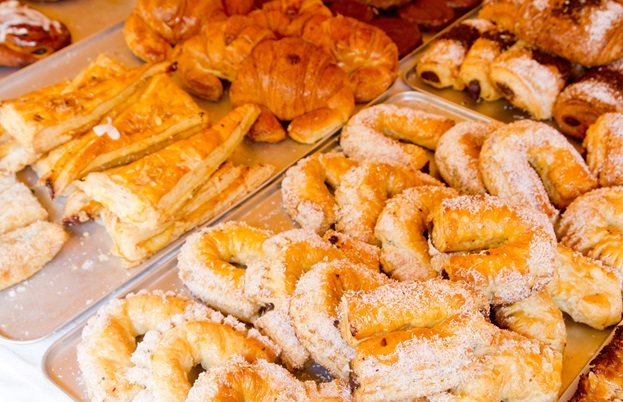 One of the few places left in Ibiza baking its own pastries and cakes, the French-owned Croissant Show is the place to be seen in Ibiza Town. Famous for its freshly-baked croissants served with butter and jam, it's a popular venue to people-watch as it attracts artists and performers after their shows in the local clubs and offers a cava breakfast from 7am. While waiting for service, be serenaded by French accordion players or entertained by the Salvador Dali-styled host. 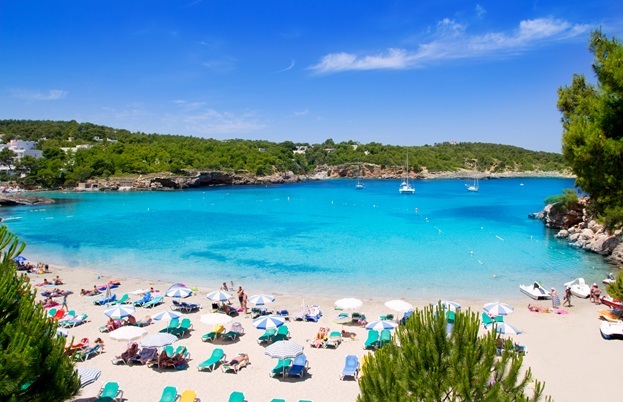 – Located a short drive from the port, Ses Salines is the island's best beach and home to a number of trendy restaurants or chiringitos where you can dine with the sand between your toes and go for a lovely swim in the sea. For a bohemian vibe visit Sa Trinxa Beach Bar, or check out El Chiringuito at the adjoining Es Cavallet beach for some amazing cocktails. – Nestled in the beautiful countryside in the north of the island, Tanit’s Temple is located in ancient caves that were once a waterfall. Ibiza is reputed to be the home of Tanit, the ancient Carthaginian mother goddess of sexuality, fertility and death. Many women on the island discreetly wear her emblem around their neck as a sign of respect and as a conduit to her power, which is said to flow in the island’s waters. Her caves are open to the public from 9am to 1pm. – Built in the sixteenth century to defend the island from pirate raids, Ibiza's watchtowers form a defensive cordon around the island. 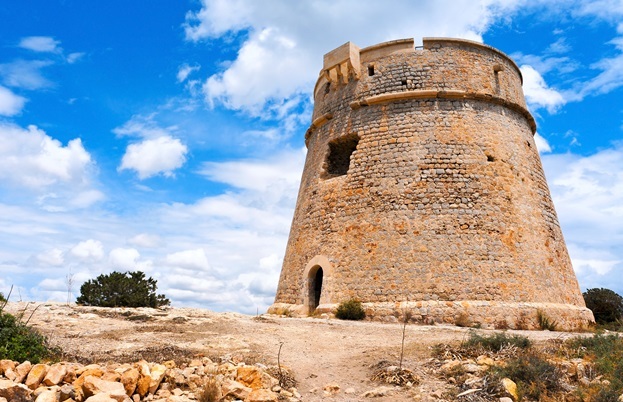 La Torre des Carregador (or Torre de sa Sal Rossa), was built to protect the channel between Formentera and Ibiza Town with cannon fire and to provide refuge to the workers of the nearby salt pans. The watchtower is open from Tuesday to Sunday, 10am­­ to 4pm. Indulge in the best of Ibiza with Celebrity Cruises on a seven or fourteen night Mediterranean itinerary.